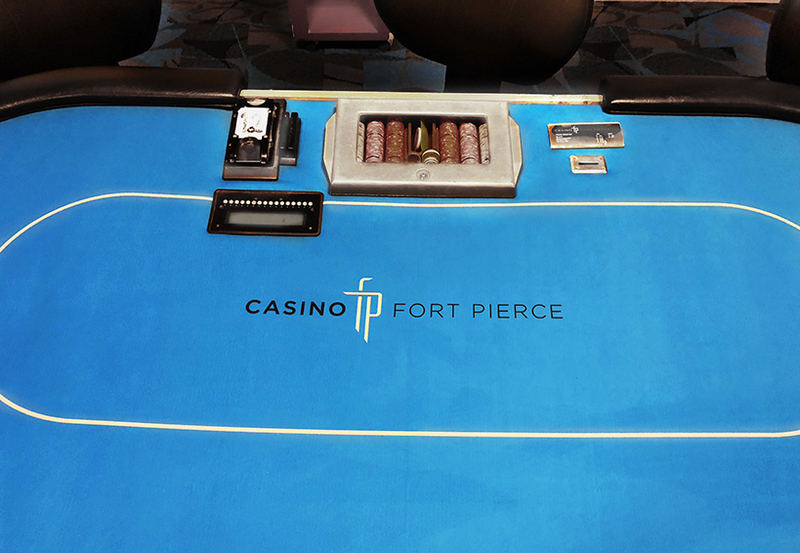 Located on Florida’s east coast, Casino Fort Pierce was looking to create a fun and memorable gaming experience for the local residents and tourists who visit the area to enjoy world-class fishing on the famed Indian River Lagoon and relax in the historic downtown district. With live poker, table games, daily promotions and simulcasting, creating a best-in-class audio video experience was critically important to creating this environment. Courtney Williams and the team from Axis Satellite designed and installed a fully-integrated URC Total Control automation system with distributed audio and video network, Luxul networking gear and a Just-Add-Power video matrix. 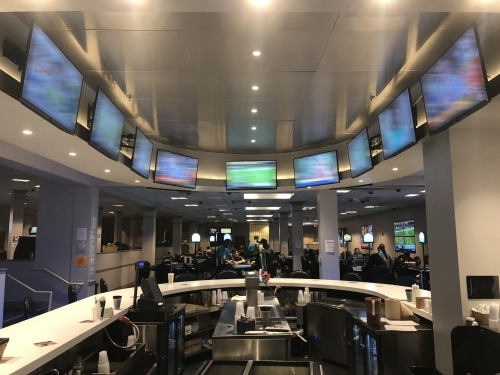 “We used an IP-controlled Direct TV receiver running through the URC MRX-30 to provide content to the video walls and TVs throughout the venue,” said Williams. 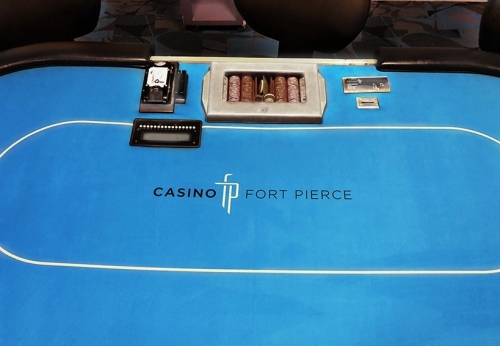 The Casino Fort Pierce was one of the first installations using the new URC MRX-30 advanced system controller with powerful quad-core processor. 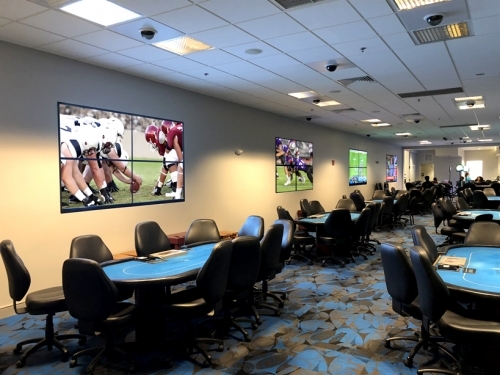 The MRX-30 is ideal for casino installations due to their long hours of operation and the utmost need for reliable, rock-solid system performance. 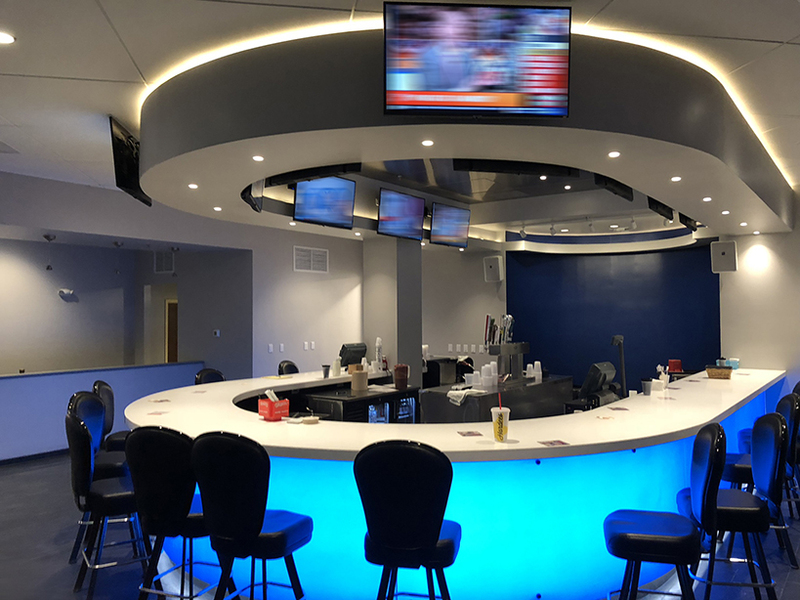 Axis installed Sony 55” TVs to create the large video walls throughout the venue and Samsung 40” TVs for bar and entertainment areas, including The Fort where guests can catch a UFC fight, watch a football game or just enjoy a drink. “The Total Control products and technical support enabled our installers to feel confident about this highly-complex integration. The URC hands-on training program is terrific and we are now sending more Axis installers to attend the course,” said Williams.